Today, 18 May, is UK Spinal Injury Awareness Day. Read on to hear from Katie Taylor, 24, who beat a rare childhood cancer but was left with spinal cord injury. With the help of BIG-funded Spinal Injuries Association and its community peer support service, she found the strength needed to carry on with life. “When I was nine months old, my parents were told I had a rare childhood cancer called neuroblastoma. It was in an advanced state with the primary tumour in my chest and secondary tumours in my head, bone marrow, spinal column and arms. With a prognosis of only 10 per cent my parents were given the option of whether to try and fight this abomination. I started chemotherapy immediately, learning to walk up and down the children’s wards, with my frantic, amazing mum running after me with a sick bowl. “Everything went well. I finished my chemo and some additional radiotherapy and was sent home. Unfortunately within a few months my walking and balance started to deteriorate and it was confirmed the primary tumour had swollen and was applying pressure to my spinal cord. The damage was irreversible and my system and organs wouldn’t survive another round of treatment as I was so young. “However, four months later, I started sleeping through the night and was happier in myself during the day. The consultants found that my cancer had gone; it was a medical riddle that no one had the answer to. My parents took this miracle and ran with it and we were sent home to enjoy life together. “Although I was lucky to be alive I was still spinal cord injured (SCI) and no one we had contact with medically could tell us how to live with this, other than pointing us towards the local special needs school. It was like trying to complete a million piece jigsaw and not even knowing what the picture is supposed to be at the end. 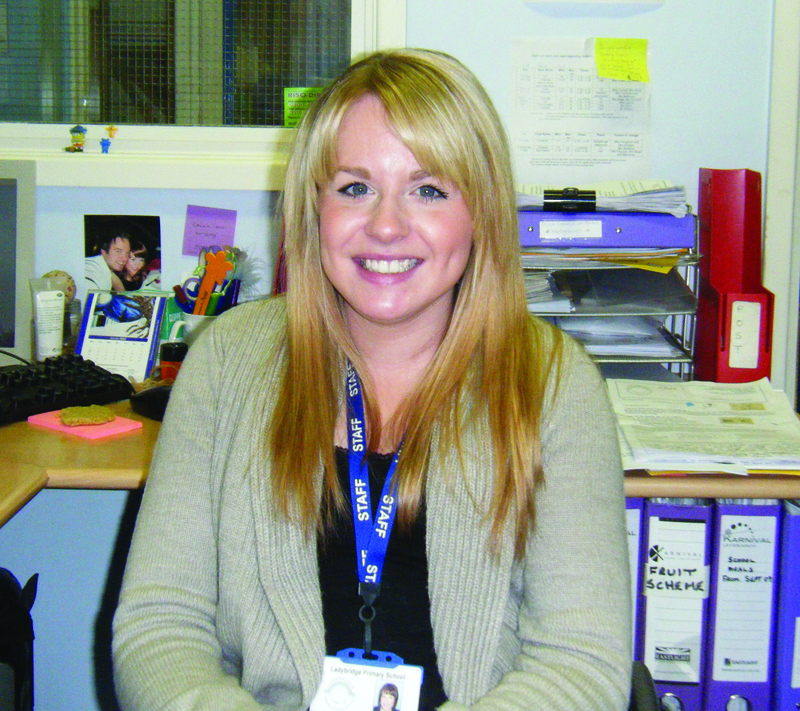 “After graduating from university I found a job as a teaching assistant and school secretary at a local primary school. However the same spinal cord injury-related problems continued and when these began to interfere with work I found it very frustrating. One day I finally reached the end of my tether and started typing my problems into Google. “I was eventually directed to the Spinal Injuries Association’s website. I sent a highly emotional and desperate email asking for help and within 48 hours, Pete Hutchings, one of SIA’s community peer support officers rang me back. In that 40-minute phone call I received more information than I’d ever had from any medical professional in all my 22 years. “I immediately called to tell my mum all about this amazing person who had all the answers. I sat and cried with relief that I’d finally found someone out there who knew how difficult it could be, but had answers to the problems that for years we had been told were unsolvable and something we just had to live with. A grant of £347,912 from BIG allowed the Spinal Injuries Association to offer its peer support to people with spinal cord injuries and their families in district general hospitals and rehabilitation centres. This article originally featured in BIG Magazine England. Read issue 8 (PDF).